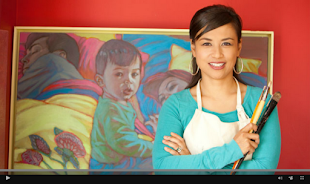 Inside the Studio of Rose Datoc Dall: Three Events in August 2015! Three Events in August 2015! 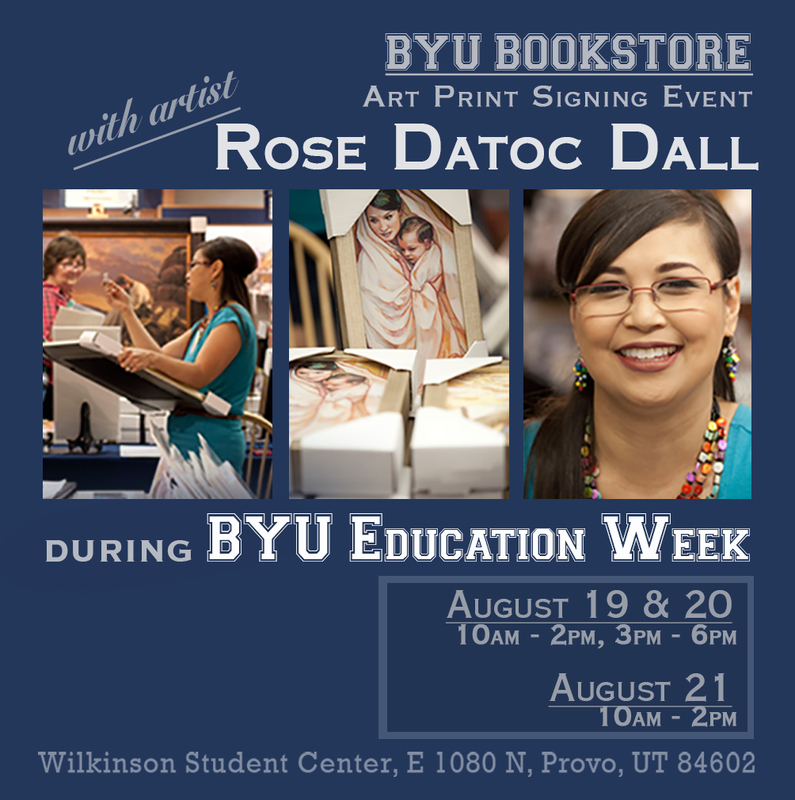 If you are in the Provo area, I am going to be at BYU Education Week next week along with dozens of guest authors and artists doing print signings at the BYU Bookstore (bottom level). 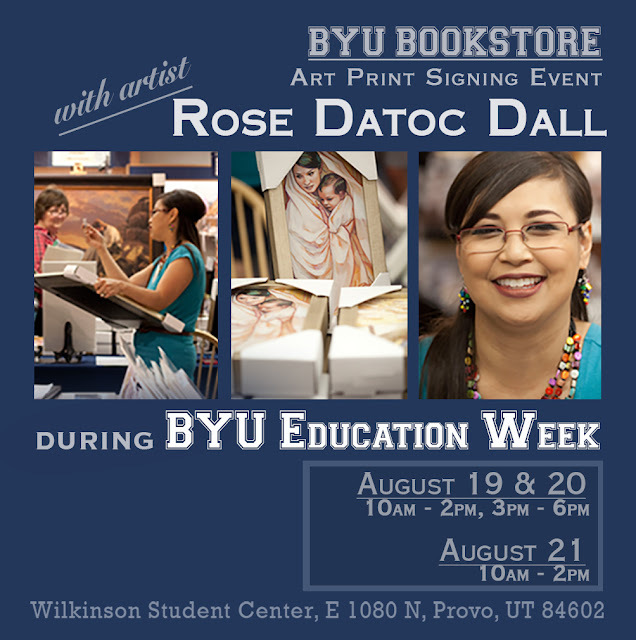 Please come see me and the other artists on Aug 19th & 20th between 10am - 2pm and 3pm - 6pm, and on Aug 21st, from 10am - 2pm. Come visit, and if you feel so inclined, buy a print and have it signed! 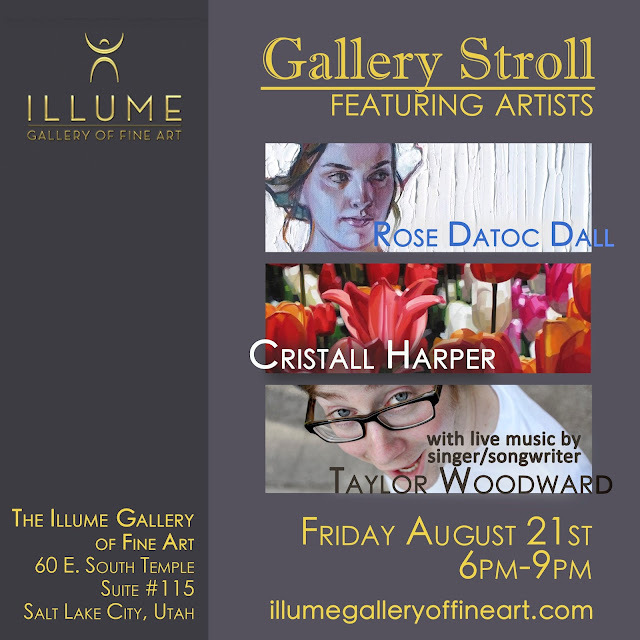 Please join me for a swanky evening, a Gallery Stroll at Illume Gallery in SLC at City Creek on Friday, Aug 21st from 6pm - 9pm. Some of my latest originals will be featured along with those of artist Cristall Harper and the music of indie guitarist/vocalist/songwriter Taylor Woodward. Please join us! It would mean a lot if you drop by! Below is a sneak peek of some pieces from my series called "Girls in White Dresses" of which several will be shown that night. Of course all originals will be for sale. I will end the busy week with a "Meet the Artist" event at the Flagship Deseret Book in downtown SLC on Saturday, August 22nd from 1pm - 3pm. 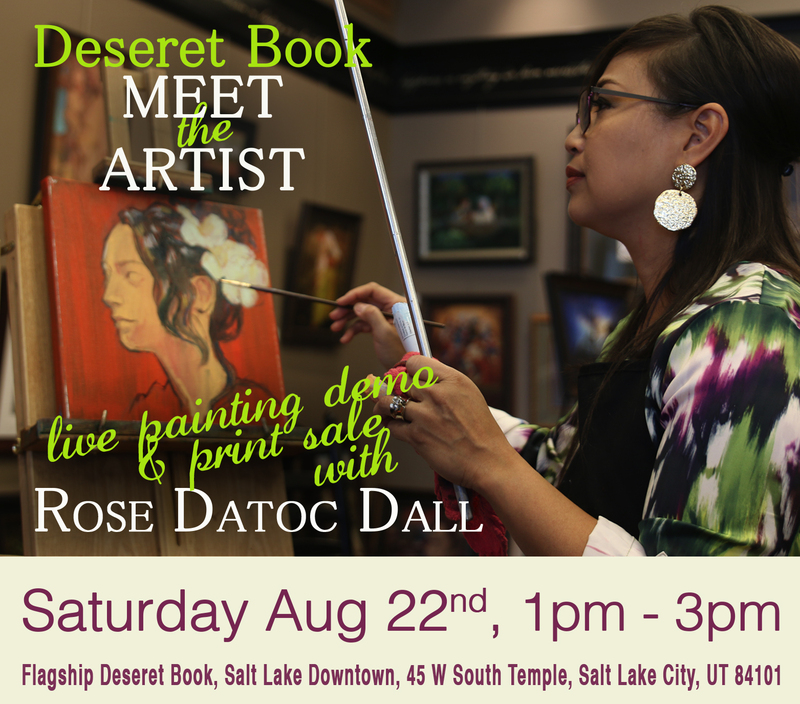 I will be doing a live painting demo and will also be signing and selling prints. So please drop by, and feel free to bring a sketchbook and draw along with me!